Coup d'etat = when a government is overthrown; pun is punny. 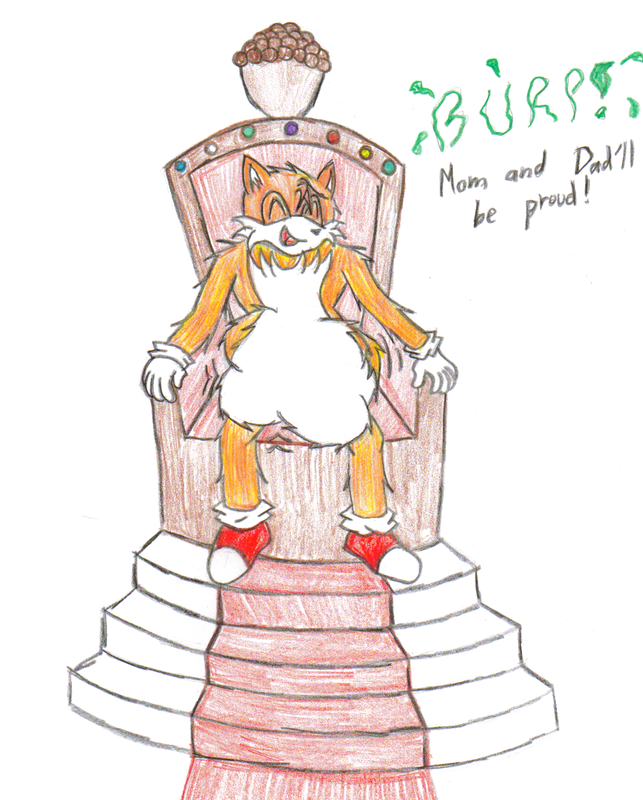 Tails has eaten Elias to get rid of the monarchy for his parents, in line with the arc that the Archie series had. I forgot his tails but my copout is they're behind him/obscured by fox tummy.